This project is for the establishment of the Institutional Change through Faculty Advancement in Instruction and Mentoring (ICFAIM–I See Fame) program in the College of Science, Engineering and Technology (CSET) at Jackson State University (JSU). 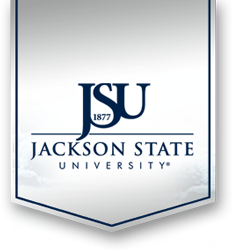 The project aims to increase retention of JSU students in Science, Technology, Engineering and Mathematics (STEM) majors by helping the college’s faculty and graduate students improve the teaching and mentoring of undergraduate STEM students. Such support will include faculty development workshops provided by ICFAIM staff, external providers, and teaching consultations. With continuous feedback, support will be targeted at STEM departments revising or creating undergraduate courses. Assistance for graduate students who are working as teaching assistants in entry-level STEM courses will be made available as these students prepare to move into the academic job market. ICFAIM will focus its initial efforts on the Department of Physics, Atmospheric Sciences and Geoscience (PASGS) by piloting faculty development workshops in student-centered pedagogy and delivering professional mentoring. ICFAIM will also support the department’s efforts to revise the content of entry-level physics courses and their respective labs. In addition, ICFAIM will work with the department to revise and revive a supplementary instruction course for undergraduates who lack the math skills to successfully negotiate entry-level physics courses. Further, ICFAIM will collaborate with the Department of PASGS, and other CSET faculty in the creation of a science research methods course, which will be a prerequisite for undergraduates desiring to work as faculty research/lab assistants. To examine the efficacy of faculty development in mentoring and the development of the research methods course, we will support students and faculty to increase the number of research opportunities on campus during the academic year and with partner institutions year round. This will increase overall undergraduate research participation. ICFAIM will expand from a program primarily targeting PASGS to one that is institutionalized within CSET. We will use the knowledge gained from our faculty development, course revision and research support efforts to provide all CSET departments with similar support. Our mission is to systematically indoctrinate ICFAIM such that it becomes an integral part of the daily work of improving the life of undergraduate STEM students at JSU.